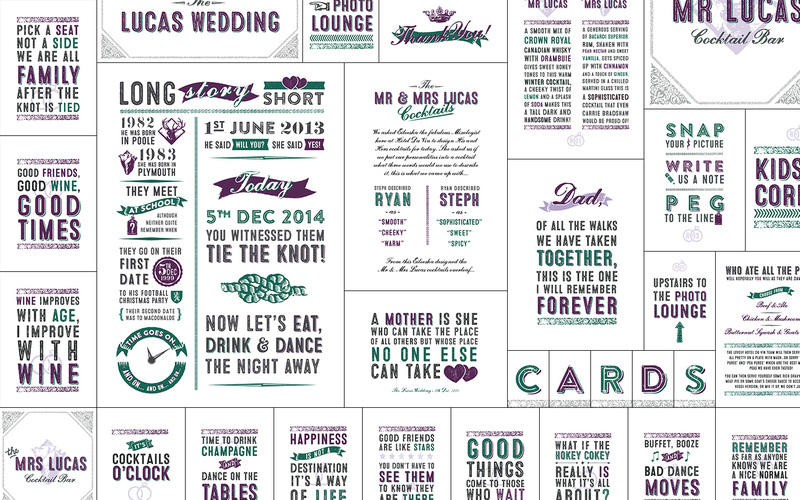 Following on from these invitations and RSVP website last year, Ryan & Steph’s wedding day was also packed with lots of custom design work, captured in typically comprehensive style by the wonderful Mister Phill who was on hand to document their day! I don’t always get to see finished work in the final context. 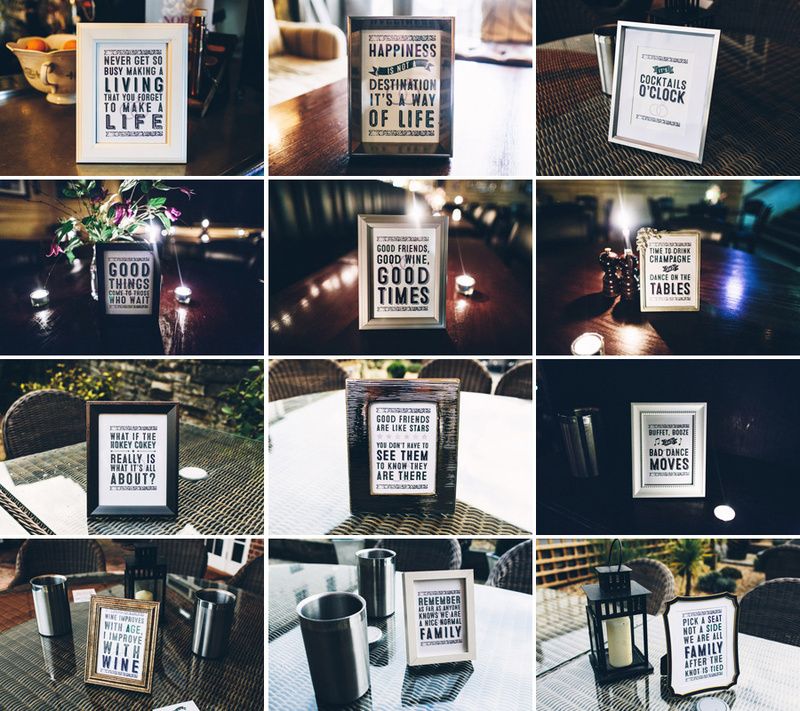 So given the huge amount of design work involved in Ryan & Steph’s day, I was delighted when Mister Phill sent me through such a complete set of photos – reproduced with his kind permission here! The original concept for the invitations was full of vintagey, woodblock-style design, reminiscent of old fly-posters or show-bills with a few quirky contemporary twists. The colours were updated from the original design to complement the decor of the venue and the floral accessories, but aside from that the basic concept remained unchanged giving lots of scope for typographic fun, and plenty of hand-stamped vintage print effects. 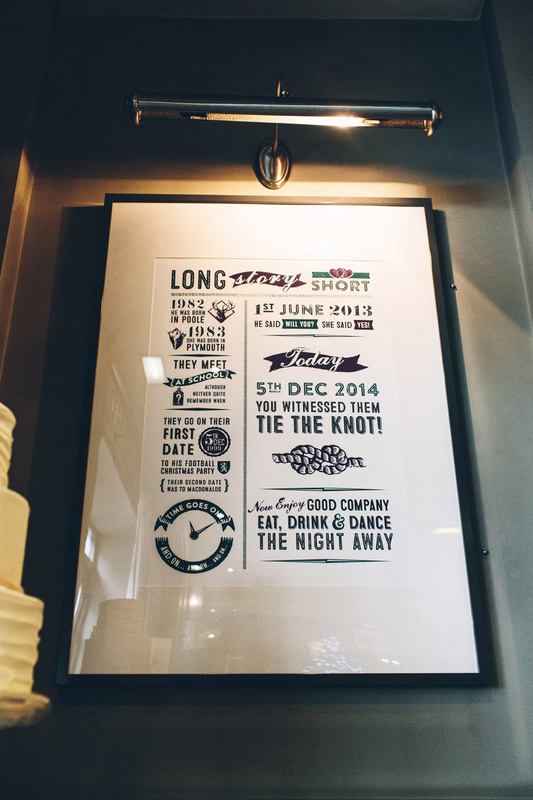 A large A1 print based on the invitations took pride of place behind the top table, with a few details changed to make it more relevant to the day. Ryan & Steph mounted it in a simple but elegant frame with an inner surround, so they could later put it up at home as a reminder of their day. 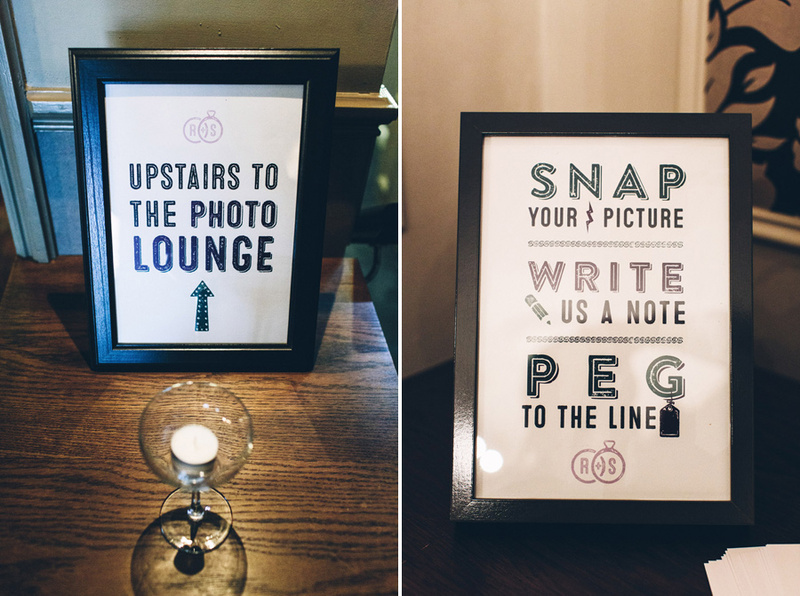 Poole’s Hotel Du Vin can be a bit of a maze, so bespoke signage was created to make sure everyone could find their way around throughout the day. 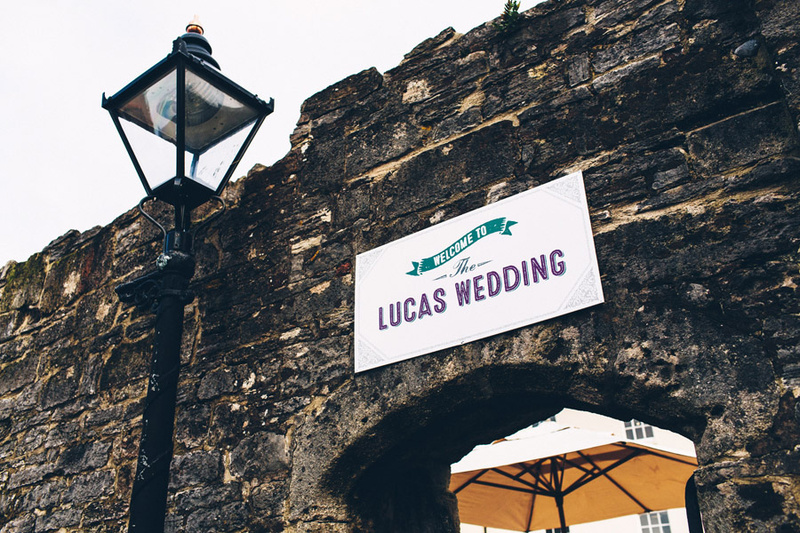 The wedding took place at the start of December, so the outdoor signage needed to be weatherproof. Although the weather on the day was dry, a matt laminate mounted onto foamcore board meant external pieces could withstand everything Poole Harbour could throw their way. Guest tables each had an individually designed quotation, which Steph and Ryan then finished off to a tee in an eclectic, mis-matched set of photo frames. 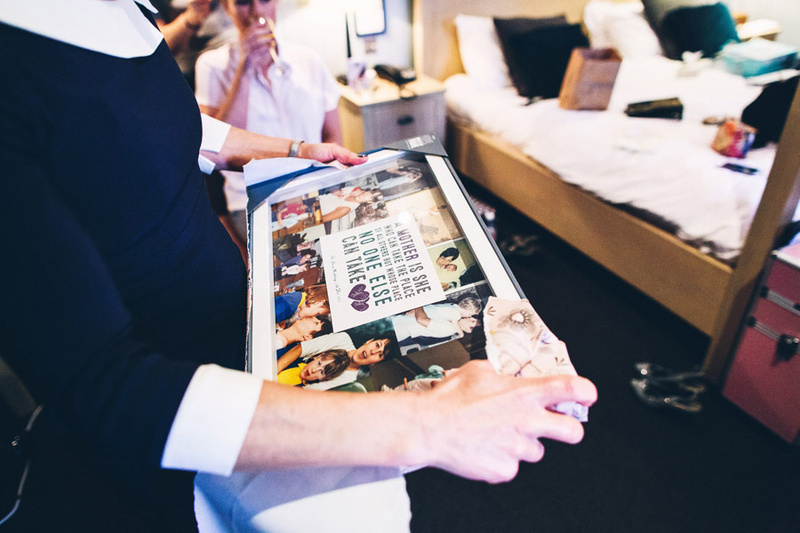 The design concept was carried all the way through to parental gifts, thank-you cards for guests staying overnight in the hotel and artwork for the Photobooth printouts. 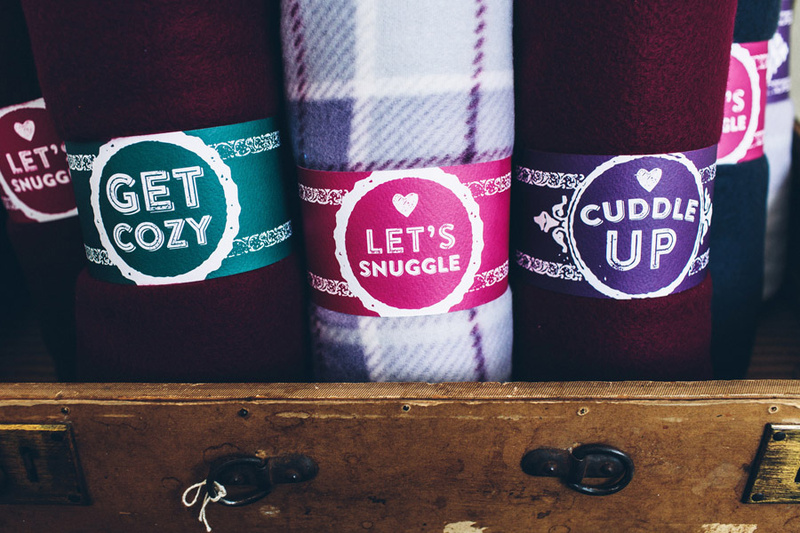 … and for when the evening air got just that bit too chilly, custom-designed blanket wraps meant the design was carried through all the way to the end of the night! Thanks to Ryan & Steph for allowing me to so comprehensively Swash and Fold their day, and huge thanks to Mister Phill for letting me reproduce his photos here!